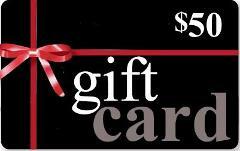 Congratulations you have received a $50 Gift Card towards a Helicopter Scenic Flight over Phillip Island. To redeem this card online follow the book now prompts on our website www.pih.com.au or redeem instore. Congratulations you have received a $100 Gift Card towards a Helicopter Scenic Flight over Phillip Island. To redeem this card online follow the book now prompts on our website www.pih.com.au or redeem instore. Congratulations you have received a Gift Card for a Scenic Helicopter Flight over Phillip Island for (two) 2 passengers. Choose your path. See spectacular Cape Woolamai OR The GP Circuit on this (approx) 8 minute flight. You'll love it! Congratulations you have received a Gift Card for a Scenic Helicopter Flight over Phillip Island for (three) 3 passengers. Your choice - See spectacular Cape Woolamai OR the Grand Prix Circuit on this (approx 8 mins) flight. You'll love it! Congratulations you have received a Gift Card for a Scenic Helicopter Flight over Phillip Island for (two) 2 passengers. See Rhyll,Cowes & GP Circuit on this (approx 12 mins) flight. You'll Love It! Congratulations you have received a Gift Card for a Scenic Helicopter Flight over Phillip Island for (three) 3 passengers. See Rhyll,Cowes & GP Circuit on this (approx 12 mins) flight. You'll Love It! Congratulations you have received a Gift Card for a Scenic Helicopter Flight over Phillip Island for 2 passengers. Valid for a Scenic Flight 3 (approx 16 mins) taking in the Grand Prix Circuit, Penguin Parade and Seal Rocks. You'll love it! Congratulations you have received a Gift Card for a Scenic Helicopter Flight over Phillip Island for 3 passengers. Valid for a Scenic Flight 3 (approx 16 mins) taking in the Grand Prix Circuit, Penguin Parade and Seal Rocks. You'll love it! Congratulations you have received a Gift Card for a Scenic Helicopter Flight over Phillip Island for 2 passengers. Fly over the diverse coastline of Phillip Island on this approx 20 min flight. You'll love it! 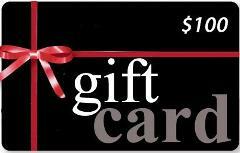 Congratulations you have received a Gift Card for a Scenic Helicopter Flight over Phillip Island for 3 passengers. Fly over the diverse coastline of Phillip Island on this approx 20 min flight. You'll love it! Congratulations you have received a Gift Card for a full Phillip Island Scenic Helicopter Flight for 2 passengers. On this full Island tour you will experience the entire Coast line of Phillip Island (approx 25 mins). You'll love it! Congratulations you have received a Gift Card for a full Phillip Island Scenic Helicopter Flight for 3 passengers. On this full Island tour you will experience the entire Coast line of Phillip Island (approx 25 mins). You'll love it! Congratulations you have received a Gift Card for a Scenic Helicopter Flight for 2 passengers. On this approx 36 min flight to Inverloch fly past Kilcunda, Wind Turbines & The Desalination plant. You'll love it! Congratulations you have received a Gift Card for a Scenic Helicopter Flight over Phillip Island for (two) 2 passengers. Take in the spectacular scenery of both Phillip Island and The Mornington Peninsula on this approx 42 minute flight.